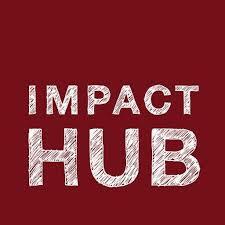 Impact Hub is the world’s largest network of social entrepreneurs. With 17,000 members spanning 102 locations around the world, our mission is to enable entrepreneurial action for positive impact. TedxStockholm gives a stage to local leaders in many different fields – one that shares new and engaging, and even sometimes controversial perspectives. At Impact Hub, our mission is to enable entrepreneurial action. That means embracing new ideas and diversity in all its forms. Being able to provide support to a locally-rooted initiative that shines light onto a variety of topics and lifts up people in our community should be something that every organisation does. At Impact Hub Stockholm, we encourage creativity, innovation and entrepreneurship with a vision for creating a better world for all. TEDxStockholm provides great opportunities for both our team and the social entrepreneurs in our network to expose themselves to new perspectives, controversial ideas, and different ways of thinking. Being a part of the Ted community gives us the chance to meet other thought-leaders and change-makers in our city, as well as broaden our potential for collaborations and collective action.